Enjoy this exceptionally cared for penthouse condo at an outstanding value. An end unit, this condo backs to open space with mountain views! With new attractive flooring throughout and vaulted ceilings and skylights in the living space, this inviting home lives very comfortably. 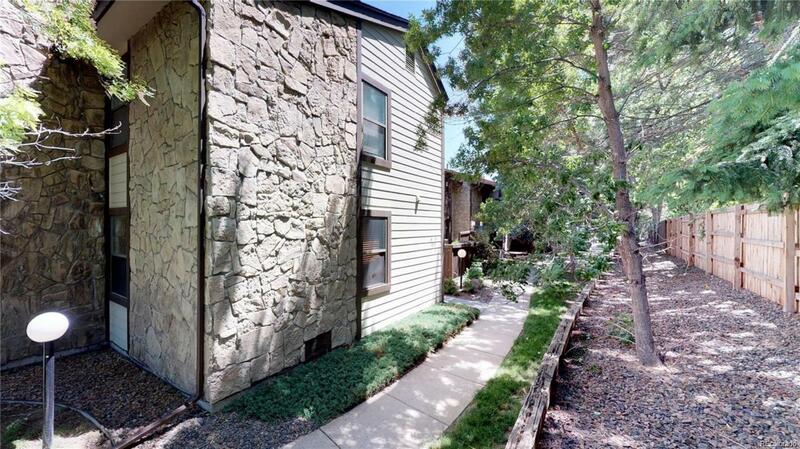 Relax by the wood-burning fireplace in the family room, or step outside to the balcony with views of the front range. With two nicely sized bedrooms and two full bathrooms, including a master suite with private bath and walk-in closet, this unit is a great opportunity for a first-time buyer, or a great investment condo. The light rail and highway are close by, making access to Denver or Boulder a breeze. Plenty of dining and activities, including Westminster Promenade, are nearby. The community offers an outdoor pool, tennis courts, racquet ball and playground; also water, sewer and trash removal. Easy access to walking trails. Washer and dryer included. Two reserved parking spaces also included.